During the past two decades, energy management efforts has caused buildings to have been “tightened up”. This reduction in ventilation has contributed to the “sick building syndrome” problem that has gotten much publicity recently. Indoor CO2 levels typically range between 500-2000ppm. Studies show that at levels above 1000ppm, occupants can experience drowsiness and general discomfort, making it more difficult to think and work. Proper ventilation can reduce the effect of various gases, volatile organic compounds and the spread of common viruses and bacteria in the air. 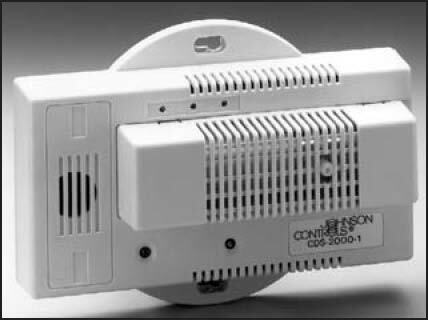 The JOHNSON CONTROLS CO2 sensor can be used for monitoring or high limit. When used as a part of an indoor air quality system, it can serve as a surrogate indicator of occupancy to help to determine the building’s actual ventilation requirements. 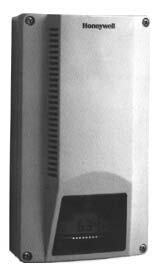 Output signal is compatible with JOHNSON’S METASYS or other DDC and analog electronic systems.